Hydesville Tower School is an independent day school for boys and girls aged three to 16 years. It is located in Walsall in the West Midlands. The School has been part of the Cognita Schools’ Group since 1997, and it has been open since 1952. Although the school is not selective, prospective pupils undertake assessments to ensure their suitability before being offered a place. There are no pupils with a statement of special educational needs. The school is registered for 380 pupils. There are currently 291 pupils on roll aged three to 16 years. Provision for children aged three to five in the Early Years Foundation Stage is made in a Nursery class and two Reception classes. The school provides before- and after-school care for its pupils. The school was previously inspected by the Schools Inspection Service in May 2016. 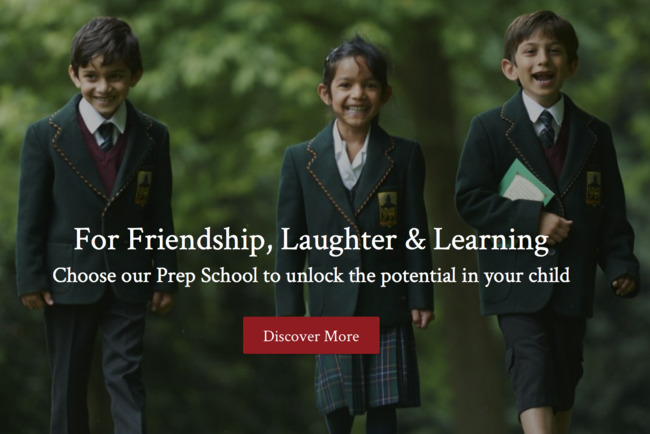 The school’s mission is, ‘to provide pupils with the academic, social and emotional skills necessary for them to become well-rounded and socially competent members of the world beyond Hydesville’. Both our Son and Daughter have been through the Hydesville experience from reception to year 6. Our Son is currently still there in year 6. They have both benefited from their time at this wonderful school which has a strong emphasis on family values and good behaviour. The Leadership team is very good and there is such a happy vibe as soon as you arrive. We would be happy to recommend Hydesville to any parents who are looking to give their child or children a grade A start to school life. My son is in year 4 and he is absolutely loving it at Hydesville Tower. All his teachers and everyone at school do their best to help your child to achieve his or her best. We have a small community room at Hydesville where the staff hold meetings with coffee mornings to find out if parents have any concerns and we are constantly given feedback on any changes or on new polices. The parents and their children are first priority at Hydesville and the service this school provides is excellent. Your child is treated with respect and given all the encouragement a person needs to prosper as an individual. One of our pupils is proving he is the cream of the crop after passing a test to become the member of an exclusive club which accepts only the smartest of people. 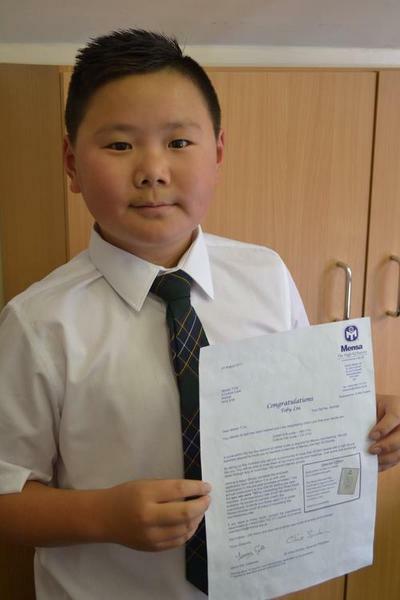 Ten year old Toby Liu from Walsall became a member of the high IQ society Mensa after scoring an impressive 160, ranking him in the top 1% of the population. As one of the youngest to sit the test – the minimum age is 10 and a half – Toby’s achievements are even more astounding. "New experiences enrich children’s lives and help them decide where their interests and passions lie." For one lesson a week the timetable is collapsed and given over to pupil enrichment. The programme draws on the interests and talents of our teachers and is a chance for pupils to enjoy pastimes that are beyond the confines of the examination curriculum. The activities are carefully planned to ensure there is something to appeal to all pupils. Students from Hydesville Tower School in Walsall are celebrating excellent GCSE results today, with over 97% of the new style exams being awarded a “standard pass” or better at the new grade 4 and above. 75% of the cohort achieved a “strong pass” at grade 5 and above in English Language and Mathematics. More pleasingly, at a time of much curriculum reform designed to make examinations more challenging, 50% of the grades achieved in Mathematics alone were grade 7 or above. Hydesville Tower School students have outperformed a number of national average results: 100% of Hydesville pupils achieved a grade 4 or above in English Language, with the national average being 64.9%. In Mathematics 91.7% of Hydesville pupils achieved grade 4 or above, significantly exceeding the national average of 68.9%. 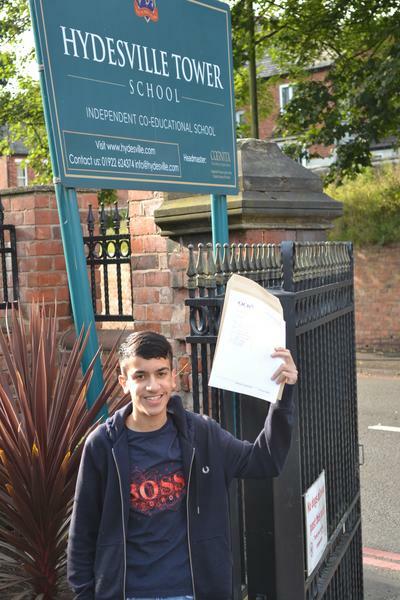 Sameer Ali (pictured above) excelled, gaining six grade As, two grade 8s and a grade 7. 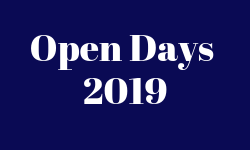 Come along to one of our forthcoming open events to find out more about our School, meet staff and pupils and experience our vibrant atmosphere. Every day is an open day at Hydesville and we host personal visits and private tours throughout the year to suit individual families. Do contact us if you want to look round sooner than the following dates and we will happily arrange this. Join us to find out more about our exceptional school. All areas will be open, from Nursery to the Senior School. Visitors will have the opportunity to take a tour of our facilities, meet staff and pupils and find out more about our unique family feel environment. Small class sizes, excellent pastoral care and superb academic results set us apart. Book your place below, and come along to find out more. Mr Honey takes up his new post in September 2017, arriving from King Henry VIII School in Coventry where he was Deputy Head. He brings a wealth of experience to Hydesville having a strong track record as a teacher delivering exceptional academic outcomes and as a school leader taking a role in all aspects of school life. His professional experience in addition to teaching, includes a number of positions in two highly regarded HMC schools. I first realised the impact a teacher could have on a group of pupils when Mr Clarke taught me Biology. His nickname – The Honey Monster – was derived from his imposing frame, and he had the ability to scare everyone with a single look. His sunflower stalk could reach anyone on the front two rows, but it was his manner to impart wisdom and understanding that kept everyone’s attention. In one year, he filled me with a love for the subject that was see me through to a degree and a subsequent desire to help others appreciate the beauty of the natural world. As a new Head, it is a bit early for me to have such an achievement. However, I plan to have some significant successes by the end of the first year! It is one that pupils look forward to being in every day, because they know they are in a safe, nurturing environment, with every focus being on helping them to develop their strengths. It gives every child the chance to make progress in their learning, regardless of their starting ability, so they leave school each day confident that they have gained more knowledge and understanding. It provides opportunities for children to develop their skills and interests, by providing a varied and exciting extra-curricular and enrichment programme. And it works with parents, to make a real difference in the life of their child. Determination. Life can be demanding, challenging and throw obstacles in our way. Learning can be difficult, exacting and interrupted by maturational landmarks and/or external factors. Despite all these pitfalls, people are expected to rise through the turmoil, achieve their best and be successful. A key feature in such people is their determination. This is more significant than intellectual ability in determining exam outcomes. It is also more significant than personality in determining the emotional health of a person. Thus, our children should leave Hydesville Tower School with a sense of determination, and an appreciation that they have the qualities to succeed throughout their life. Purposeful; community; determination; friendly; genuine. Looking for a tutor near Hydesville Tower School?